The Trump administration cannot ask citizenship status in the 2020 census. A federal judge in New York on Tuesday blocked the Trump administration from asking about citizenship in the 2020 census, finding that Commerce Secretary Wilbur Ross “violated the public trust” when he decided to insert a citizenship question. 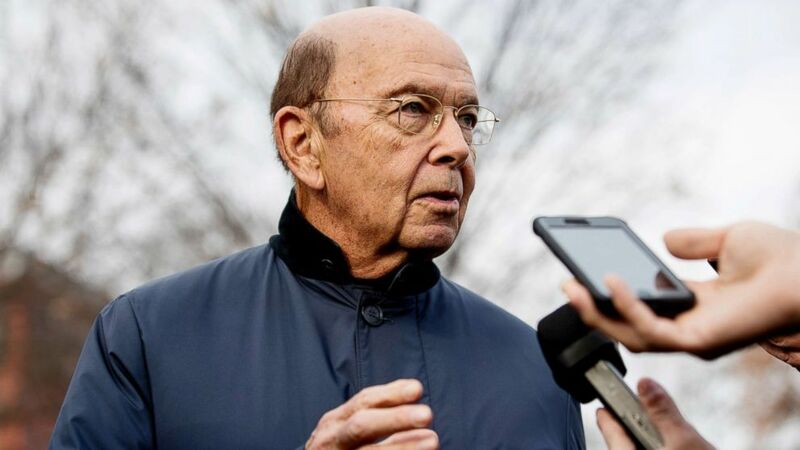 While the Constitution gives the Secretary of Commerce "broad discretion" over the census, U.S. District Judge Jesse Furman said Ross violated administrative procedures. Furman called Ross's decision to include the question "arbitrary and capricious." "Secretary Ross’s decision to add a citizenship question to the 2020 census — even if it did not violate the Constitution itself — was unlawful for a multitude of independent reasons and must be set aside," Furman wrote. More than a dozen states, six cities, the U.S. Conference of Mayors and several immigrant rights advocacy groups claimed in a lawsuit filed in April that asking citizenship status as part of the census is unlawful and could undercount populations, thereby threatening billions in federal funds which relies on accurate population counts. Furman's decision is far from the last word on the issue, however. A separate suit on the same issue was filed by the state of California and is currently being heard in San Francisco. The U.S. Supreme Court is set to hear oral arguments on the issue on Feb. 19. The New York ruling is also expected to be appealed. (Andrew Harnik/AP, FILE) Commerce Secretary Wilbur Ross speaks to reporters outside the White House in this Dec. 12, 2018 file photo. In his 277-page decision, Furman wrote that Ross failed to give Congress enough notice about the decision to include the question and failed to articulate the reasons for the decision. "Secretary Ross and his aides tried to avoid disclosure of, if not conceal, the real timing and the real reasons for the decision to add the citizenship question," Furman wrote. "He failed to consider several important aspects of the problem; alternately ignored, cherry-picked, or badly misconstrued the evidence in the record before him; acted irrationally both in light of that evidence and his own stated decisional criteria; and failed to justify significant departures from past policies and practices," Furman added. The Department of Justice responded to the ruling in a statement Tuesday. "We are disappointed and are still reviewing the ruling. Secretary Ross, the only person with legal authority over the census, reasonably decided to reinstate a citizenship question on the 2020 census in response to the Department of Justice’s request for better citizenship data, to protect voters against racial discrimination," DOJ spokeswoman Kelly Laco said in the statement. "Not only has the government asked a citizenship question in the census for most of the last 200 years, 41 million households have already answered it on the American Community Survey since 2005. Our government is legally entitled to include a citizenship question on the census and people in the United States have a legal obligation to answer. Reinstating the citizenship question ultimately protects the right to vote and helps ensure free and fair elections for all Americans." On Tuesday, New York Attorney General Letitia James, whose office under a previous attorney general brought the lawsuit, praised the decision in a statement. "Today’s ruling is a win for New Yorkers and Americans across the country who believe in a fair and accurate count of the residents of our nation. The attempts by the Trump Administration to mandate a question about citizenship were not rooted in a desire to strengthen the census process and would only undermine our immigrant communities. Inciting fear in our residents is not only immoral but also ill-conceived," James wrote. 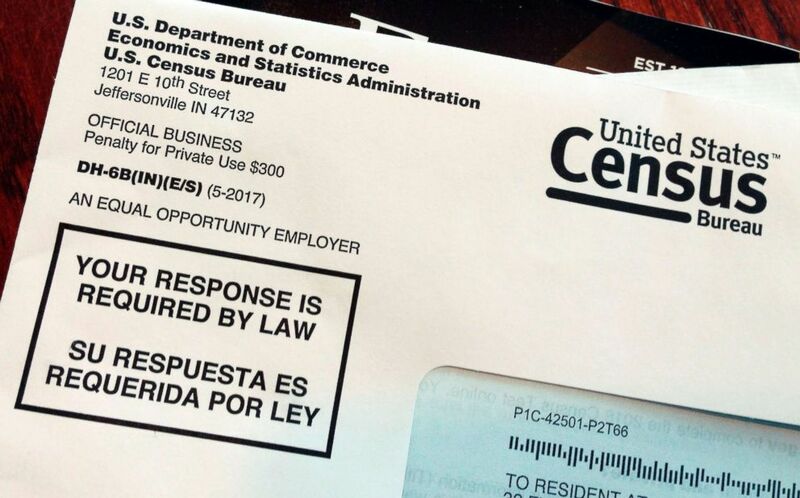 (Michelle R. Smith/AP, FILE) This March 23, 2018 file photo shows an envelope containing a 2018 census letter mailed to a U.S. resident as part of the nation's only test run of the 2020 Census. The ACLU, which filed a companion lawsuit, said the citizenship question was meant to strip federal resources and political clout from those who need it. "This ruling is a forceful rebuke of the Trump administration’s attempt to weaponized the census for an attack on immigrant communities," said the ACLU’s Dale Ho. The last time the census asked respondents about their citizenship status was in 1950. Since then, the U.S. Census Bureau and former Bureau officials have opposed periodic efforts to reinstate a citizenship question on a universal basis. In March, Ross directed the Census Bureau to reinstate the citizenship question on the 2020 census. He said he included it to fulfill a request letter from the U.S. Justice Department, which argued it needed better citizenship data to enforce the Voting Rights Act. President Donald Trump took credit for this direction shortly after the announcement in an email his campaign sent to supporters: “President Trump has officially mandated that the 2020 United States Census ask people living in America whether or not they are citizens." But in July, Furman questioned that rationale and ruled that the lawsuit could proceed. "There is no indication in the record that the Department of Justice and civil rights groups have ever, in the 53 years since the Voting Rights Act was enacted, suggested that citizenship data collected as part of the decennial census would be helpful, let alone necessary, to litigate such claims," Furman wrote in his decision to allow the lawsuit to proceed at the time.